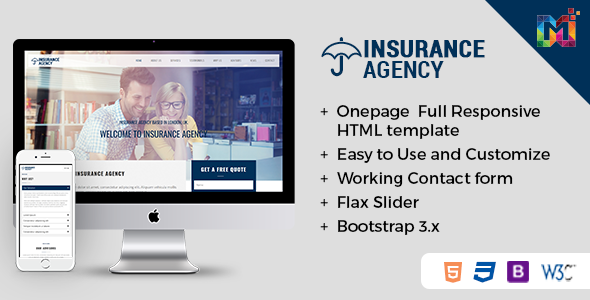 Insurance – Multipurpose Responsive HTML Template provides social sharing icons such as Facebook, Instagram, Twitter. 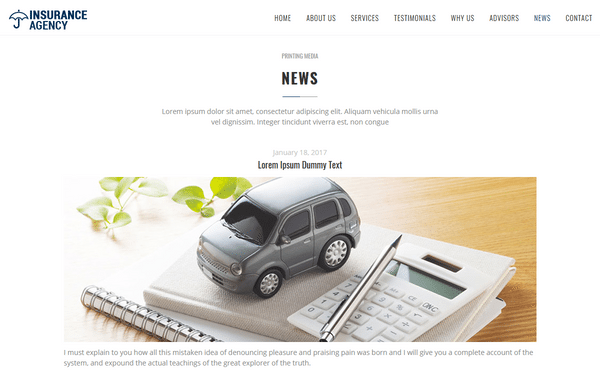 Insurance – Premium Html Template comes with Blog Section. 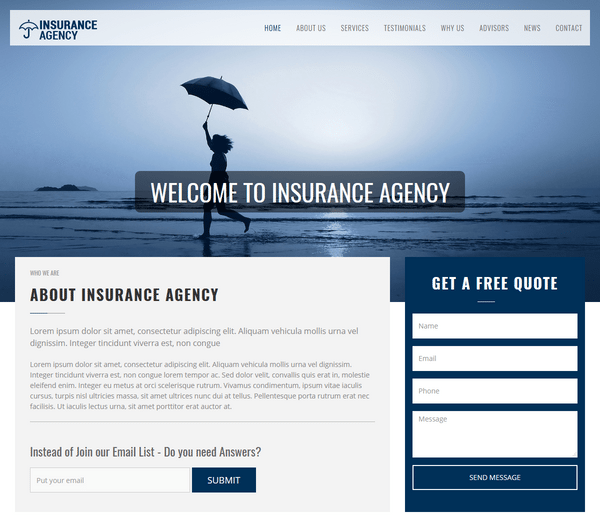  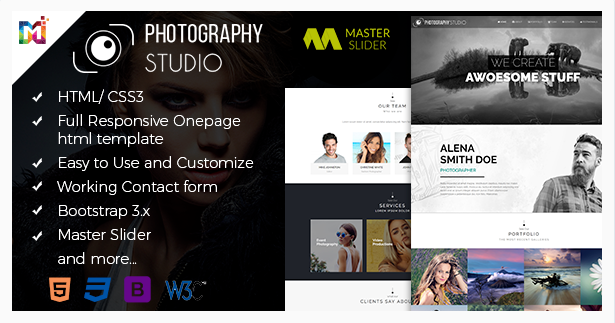 Insurance – Multipurpose HTML Template comes with About Section. 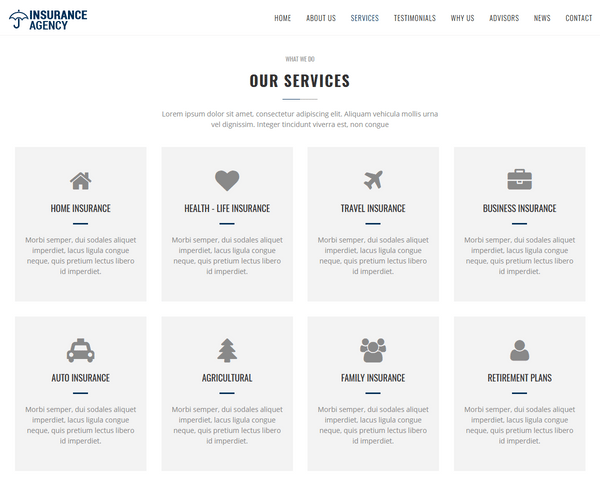 Insurance – Multipurpose HTML Template comes with Services Section. 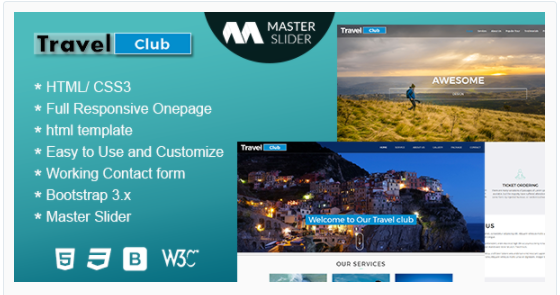 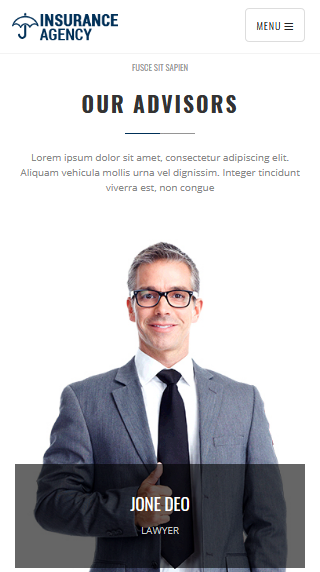 Free Html Template provides Why Us Section. 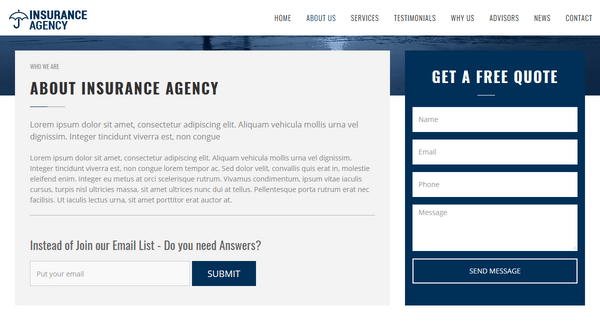 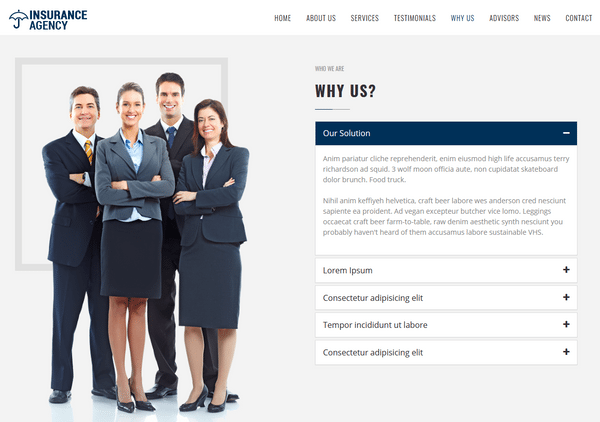 Free Html Template provides Testimonial Section. 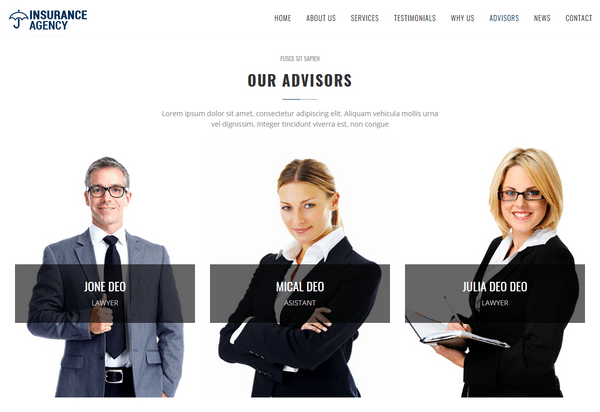 Free Html Template provides Advisor Section. 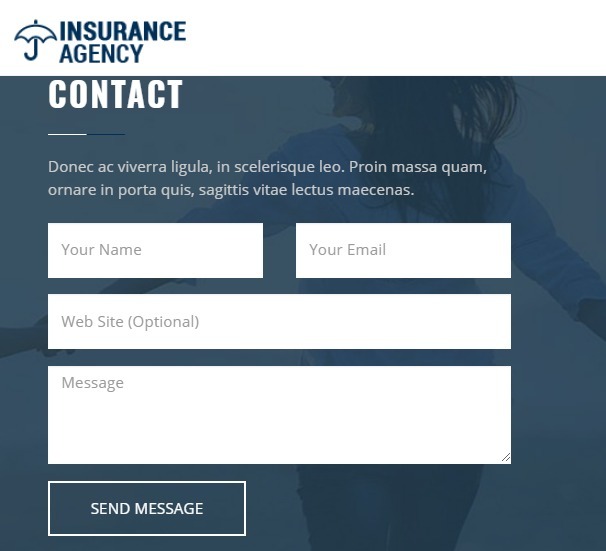 Insurance – Multipurpose Responsive HTML Template provides Working Contact Form so a user can easily contact you. 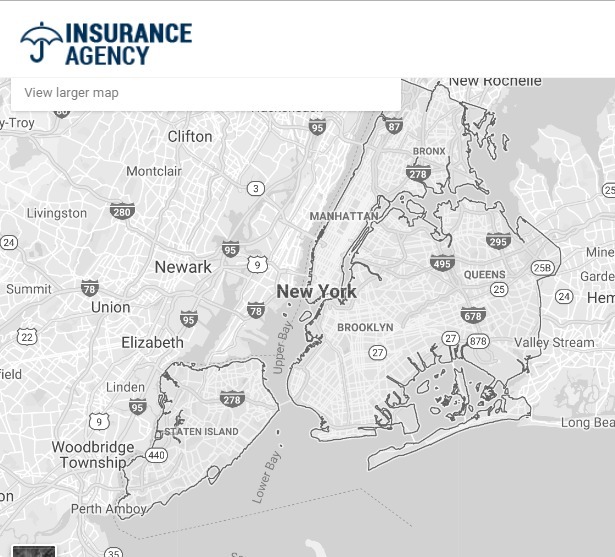 Insurance – Multipurpose Responsive HTML Template provides Google Map for location so a user can easily contact you. 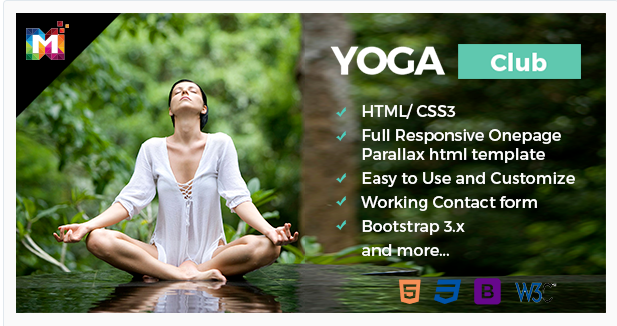 Our Documentation file has the details for editing the HTML file and the plugins included.